Migration is a great time of the year if you are a birder. There are variety of birds that show up that you don't see any other time of the year. 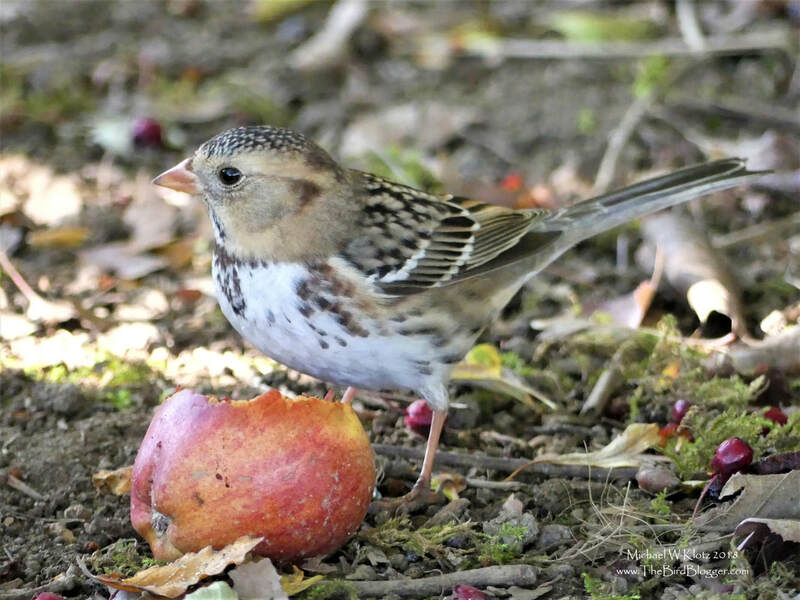 This Harris' Sparrow is no exception, making a stop in Jericho Park at an apple tree with fruit to spare. This northern nester is usually on a straight path from northern Canada to the midwest states of Texas, Oklahoma, Nebraska and Kansas for the winter but we see the occasional bird here in the fall.